More than 100 artists will sell jewelry, ceramics, furniture and more this week at the National Building Museum. 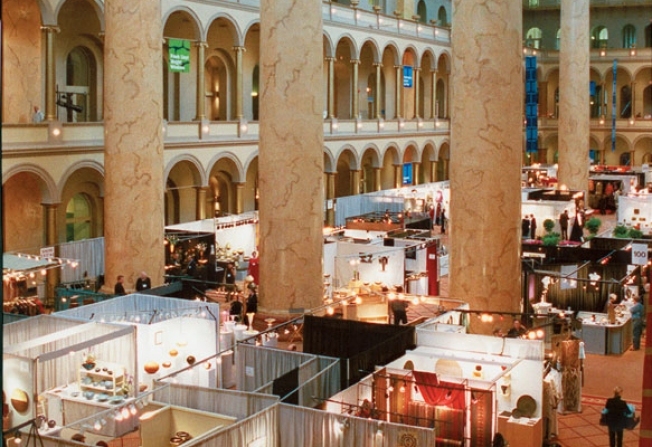 The 34th annual Smithsonian Craft Show is set to begin Thursday. The show will include pieces from 121 contemporary artists, including the glass artists Dale Chihuly and Toots Zynsky. Art at all price points will be for sale. Cicadas Set to Emerge in Parts of Md., Va., W.Va.
Friday 10:30 a.m. to 5:30 p.m. There will be a preview night reception Wednesday from 5 to 9 p.m. at which attendees can meet the artists. The National Building Museum, 401 F St. NW, Washington, D.C. The nearest Metro stop is the Judiciary Square station on the Red Line.